What's a Normal Hemoglobin A1c Test? 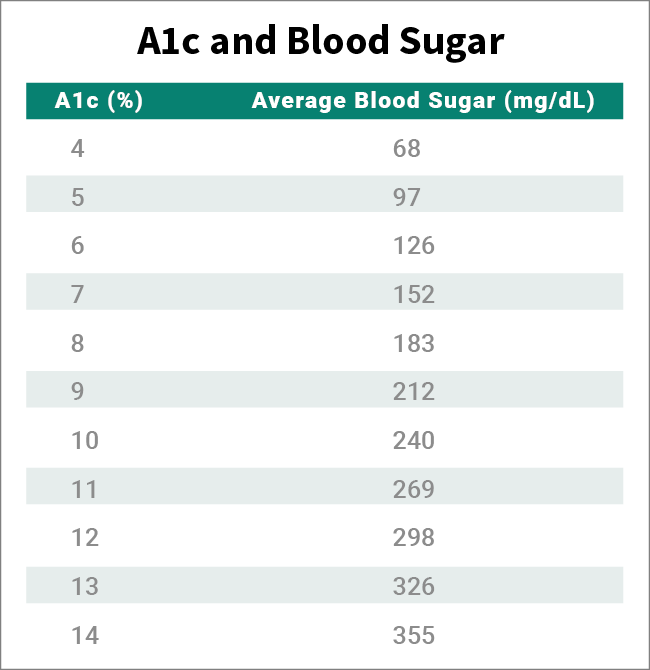 The hemoglobin A1c test tells you your average level of blood sugar over the past 2 to 3 months. It's also called HbA1c, glycated hemoglobin test, and glycohemoglobin. People who have diabetes need this test regularly to see if their levels are staying within range. It can tell if you need to adjust your diabetes medicines. The A1c test is also used to diagnose diabetes. Hemoglobin is a protein found in red blood cells. It gives blood its red color, and it's job is to carry oxygen throughout your body. The sugar in your blood is called glucose. When glucose builds up in your blood, it binds to the hemoglobin in your red blood cells. The A1c test measures how much glucose is bound. Red blood cells live for about 3 months, so the test shows the average level of glucose in your blood for the past 3 months. If your glucose levels have been high over recent weeks, your hemoglobin A1c test will be higher. For people without diabetes, the normal range for the hemoglobin A1c level is between 4% and 5.6%. Hemoglobin A1c levels between 5.7% and 6.4% mean you have a higher chance of getting diabetes. Levels of 6.5% or higher mean you have diabetes. The target A1c level for people with diabetes is usually less than 7%. The higher the hemoglobin A1c, the higher your risk of having complications related to diabetes. A combination of diet, exercise, and medication can bring your levels down. People with diabetes should have an A1c test every 3 months to make sure their blood sugar is in their target range. If your diabetes is under good control, you may be able to wait longer between the blood tests. But experts recommend checking at least two times a year. People with diseases affecting hemoglobin, such as anemia, may get misleading results with this test. Other things that can affect the results of the hemoglobin A1c include supplements such as vitamins C and E and high cholesterol levels. Kidney disease and liver disease may also affect the test. Droumaguet, C. Diabetes Care, 2006. Steffes, M. Clinical Chemistry, 2005. Selvin, E. Diabetes Care, 2006.